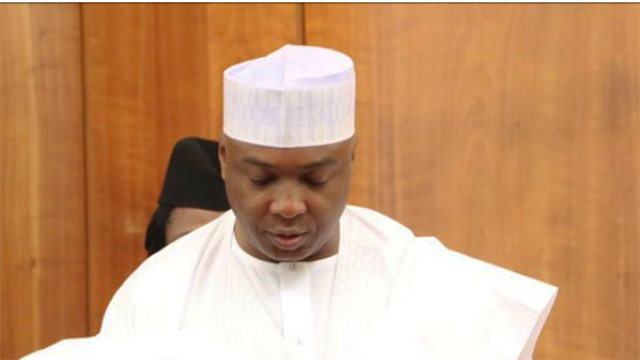 Senate President Bukola Saraki, has described his All Progressives Congress (APC) senatorial challenger for Kwara Central Senatorial District, Dr. Ibrahim Oloriegbe, as a seasonal politician without content and capacity to upstage him in the February 16 National Assembly election. Oloriegbe had, while addressing a press conference in Lagos, decried the socio-economic situation of Kwara State, stressing that the Ilorin Emirate had resolved that Oto oge (enough is enough) to Saraki’s dynasty politics of impoverishment and decided to settle for a new leadership that honours the people’s culture and values. In a statement by his media aide, Yusuf Olaniyonu, Saraki declared: “Oloriegbe is not a candidate in the senatorial election, rather, he is the candidate of a faction in the APC, which the court, in a subsisting and unchallenged judgment, rejected. “Oloriegbe belongs to a group of people known in Kwara State as ‘seasonal or visiting’ politicians. The people do not see them. They don’t relate with the people. They don’t help the people and their community until six months to election when they move in noxious money and they start printing posters. “They created a groundswell of noise, which will create panic and help their rigging plans for the elections. After all, it is known that you cannot rig where you are not popular. Kwara Central will not vote for seasonal politicians. When they lose this election, they will return to Abuja, Lagos and come back in 2023.